Whist at Salute I managed to get hold of the two new releases for the Algoryn on Beyond the gates of Antares the Plastic Command Squad and the Liberator Skimmer both of these Kits are really quite nicely detailed and have reignited a spark in me to crush opponents in the Spheres! So beginning with the kits I already have it’s time to start drawing the lines in the sand and prepare for deployment starting with a 1,000 point army. I guess troops is probably the best place to start and with the Kara 9 starter set plus several of the original boxes of metal troops, I am not going to be short of a few AI Squads to start my army off, so we will kick off proceedings with three 5 man AI squads mainly to fill out the minimum requirement for Tactical choices which in a 1’000 point games is 4-7, so with three down I can take a 5 man command squad made with the newly released plastic command kit, and an AI Assualt squad this gives me 5 squads (1 is limited) and fills the first requirement. The next must have is at least one support squad so AI Intruder Skimmer Squad will be a nice anti infantry mobile punching force, never leave home with out them or there big brother the Avenger. 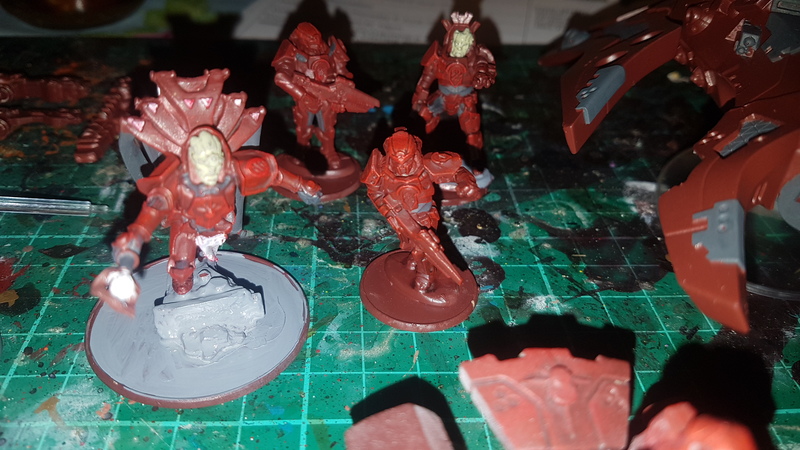 So far I am well under budget at 655 points so I can either choose to start filling squads out and piling on the upgrades, or because I have an X06 waiting in the wings newly painted (undercoated) and wanting to unleash a torrent of Plasma induced pain, go with something fancy added to which having an X06 in the mix this should take care of anything that my troops can’t, there are probably cheaper ways of doing this but being a MOD2 vehicle its high points cost wont hurt as much with activation dice and brings my points up to 929 if I throw a medic in as well to help keep my squads alive. 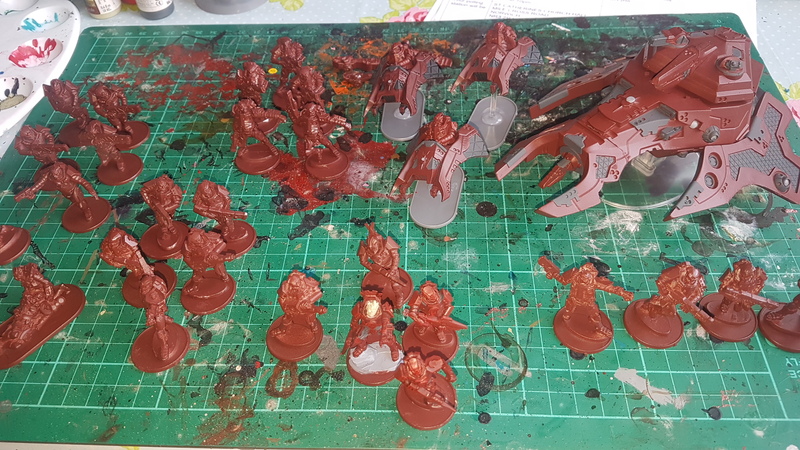 So for 929 point I have 9 order dice and a few points left to play with stocking up on some drones is going to be a must but there are also the army options to be considered as well, there is no room for another AI squad but fleshing out an existing squad or two could be an option as well.